Hearing loss is a problem that many children and adolescents face. There are several causes to this problem and many ways to prevent it. By taking action before children develop these conditions, parents can help their child have sharper hearing. Aside from an exposure to noise – which can be very dangerous not only to kids or babies but also adults – one of the most common causes of hearing loss in children are ear infections. Ear infections are the leading cause of hearing loss around the world. These infections are often treatable and cause the loss of hearing when left unattended. When the infection is left to spread, the swelling often damages the ear canal or other important parts of the ear. Some children are born with ear infections, or get them very young. This can cause problems at any point during a child’s life. It is estimated that roughly one third of adults over 65 have hearing loss. This can be due to any number of causes, but is often due to an infection. Children are much more prone to ear infections than adults. Another major disease that affects hearing loss in children is Otitis Media. This is the inflammation of the middle ear, which is the sensitive area located behind the eardrum. This ailment is usually caused by fluid buildup. The fluid isn’t necessarily infected, but it is very prone to infections. Otitis media is one of the most common diseases in young children. 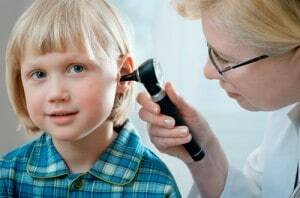 The majority of children, almost seventy-five percent, have experienced otitis media at least once. This usually leads to an ear infection, which can vary in severity. Very few adults develop diseases like otitis media, although ear infections are not uncommon. While anyone can get an ear infection, children are especially susceptible. This is in part due to a slightly weaker immune system. Adults, for example, have built up some immunities over their lifetime. Another reason is the child’s Eustachian tube. The Eustachian tube is a small passage that lines the back of the throat and the middle ear. Positioning of the Eustachian tube changes as we age. When it is smaller and in a horizontal position, it is naturally more prone to blockage and infections. Another leading cause in hearing loss is due to listening to loud music or noises on a regular basis. This is another ailment that can develop over time, but there have been cases where hearing loss was developed in a day. Teenagers are especially prone to this, but children in general have a hard time adapting to loud noises. One must remember that only by living in a large city the exposure to noise already is above average. Street noises, airplanes flying above us, loud events (think of music concerts, sport events) and other similar noises can be harming our kids’ or babies’ little ears. 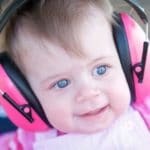 This is why equipping our little ones with a proper ear protection for babies or kids is a must if you and your family are exposed to above-average noise levels. Hearing loss is not something that is very easy to diagnose. Many of the symptoms brought on by infection are temporary. Hearing loss often develops over time. That is why it is important to recognize the symptoms of infection as early as possible, so that it can be treated quickly. Symptoms of hearing loss will vary from child to child. Ear infections can also vary in severity, so some children may not experience the sharp pains or fever associated with the disease. Some children will have repeated incidents where they have a temporary loss of hearing. Prevention starts with treating any issues with the ears as soon as they occur. Finding the source of hearing loss is important if you hope to treat the issue properly. This often starts with professional testing from a specialist, also called an audiologist. An audiologist needs have an advanced degree and be able to recognize the symptoms of infection. 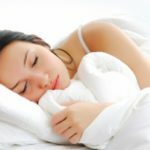 Upon closer examination and testing, the audiologist will be able to suggest techniques that will be able to help treat the condition. Be sure to work with an audiologist that has training in pediatric hearing loss. Only those with the pediatric specialty will have the equipment necessary to test the child. The hearing test Sunshine Coast performs will be different based on the child’s age, condition, and ability to respond to testing. Children of any age can start the testing process. There are many different kinds of hearing tests that an audiologist can perform. The chosen test will depend on the age of the child and how developed the ear infection is. Some tests will require a behavioral response form the child, and it is important that the child has the developmental skills to do the test correctly. Each test is designed to keep the child comfortable. Regular testing is also important, and the child will be better prepared for hearing loss testing with an infection if they had the tests in the past. In some cases, a hearing test will be included with a child’s physical. Preventing hearing loss at home starts with the parents. Talking with children or setting up rules that require the child to listen to music at a lower volume is the first step. If the child is going to a concert, encourage them to wear ear plugs to protect their hearing. Even in case of small babies, several dedicated baby ear plug products exist. Those can be purchased either online or in a pharmacy store near you. Preventing illness can be a little harder. There are some immunizations that can prevent some forms of ear infections. These can be discussed with the child’s pediatrician and are usually recommended on a case by case basis. If the child is complaining of an ear ache, it is often best to talk with the pediatrician. Some medications can reduce the swelling or other symptoms of the infection, decreasing the exposure time. If the child is going to be exposed to cold weather, the child can wear earmuffs to avoid exposure to the elements. This can help prevent some ear infections. If the child’s school is offering a hearing loss test, take advantage of it. Most schools can screen for low and high frequency hearing loss upon request. They can then give the parent a referral if the child is showing any signs of loss. Taking simple measures is often the best course of action. Making sure that the child is caught up on immunizations, reducing noise exposure, and practicing good ear-car can help keep the child’s risk of permanent hearing loss to a minimum.